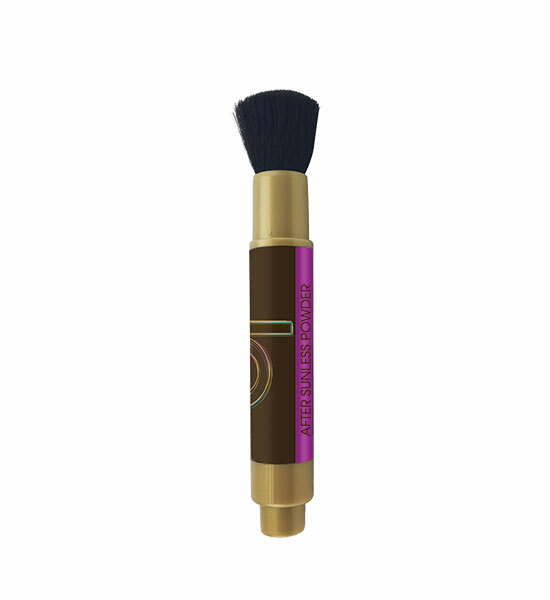 Push button to dispense powder into the brush. Use one pump of powder per each limb. Lightly brush onto skin. Push up collar around brush to reattach cap and twist top to the left to lock.